The coolest fly-in in the world keeps getting bigger without losing the qualities that made it great when it was new. If there’s a place in this country where flying is still fun, where people become inspired by airplanes, and where aviation friendships are made, it’s at the High Sierra Fly-In. Not far from the Black Rock Desert, the High Sierra Fly-In is a larger-than-life flying event where pilots can be found emerging from tents at 6 a.m. on a Saturday morning in October, wiping playa dust from their eyes, starting up bush planes with big tires, and flying formation around the backcountry. By nightfall, the same pilots enjoy food and drink next to a roaring bonfire, light off fireworks, and tell epic “so there I was” stories. It’s a fly-in with a Burning Man-Meets-Oshkosh vibe, big enough for sponsorships and big-money raffle prizes yet small enough to maintain the ambiance of an intimate family reunion. It’s where aviation dreams are not just made but challenged, where people are encouraged to get their hands dirty, to learn—to really learn—how to fly and how to build airplanes. It’s a place where pilots truly bond over their flying machines while taking in the best that nature has to offer. Just north of Reno near the California border is a dry lakebed that Kevin Quinn and friends call Dead Cow. It’s here, on more than 55 acres of private property owned by Quinn and a few of his buddies, where every October hundreds of pilots and their families flock for an ultimate aviation adventure. Dead Cow, appropriately named after Quinn came across a dead cow on one of his early landings there, is about 5 miles long at its longest edge and about 3 miles wide. 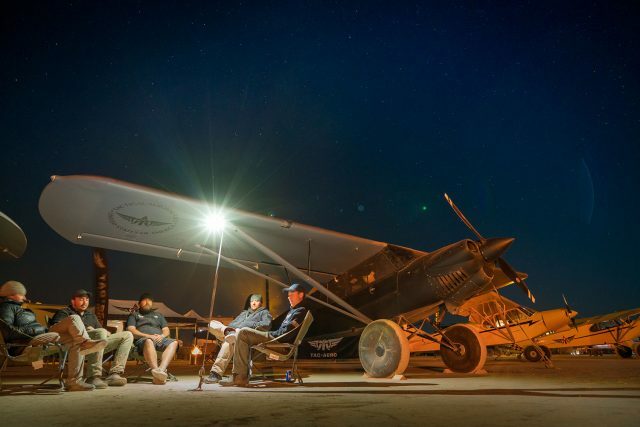 Once a year, this rural, deserted, dusty, dried-up lake bed becomes home to hundreds of pilots from all over the world who want to experience the backcountry, camp, take a dip in local hot springs, eat and drink around a campfire, and watch STOL Drag races. While the popularity of the High Sierra Fly-In may not have been a total accident, it’s probably safe to say that organizer Quinn didn’t know how quickly it would become so popular. Approaching its 10th year, the High Sierra Fly-In is bigger than ever—no doubt due to a popular social media presence—and it seems to outpace Quinn’s expectations each year. The fly-in was born back in 2010 with just a small group of pilots, and under the leadership of Quinn and help from numerous volunteers each year, it has grown into a major event with sponsorships, a live band, catered food, thousands of dollars in raffle prizes, and a 20-minute fireworks show that rivals one at a professional sporting event. Part of the adventure surrounding the High Sierra Fly-In is just getting there. 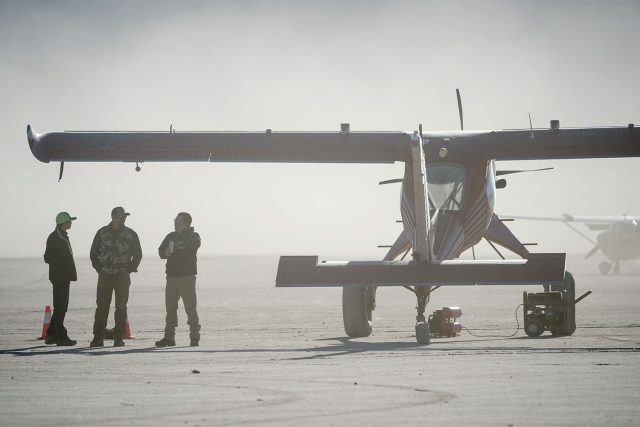 Airplane owners fly and land right on the lakebed, a hard-packed surface of powdery alkali dust. But finding Dead Cow from the air is not a simple task, even if you have seen it first on Google Earth. From even 1,000 feet AGL, the airplanes, tents and RVs blend in well with the surrounding sagebrush, and the size of the lakebed is easy to underestimate, presenting the opportunity for a pilot to mistake Dead Cow for just another empty lakebed. It’s not until you overfly and really search that you see the tiny yellow cubs, the white tents, the numerous RVs or the orange cones in place to indicate the runway. Once identified, orienting oneself for the traffic pattern is the next challenge. To date, there are no published arrivals other than east and a west pattern entry, but with numerous aircraft in the pattern, a number of takeoffs and landings throughout the day, and STOL Drag races happening near the ground, there are a lot of airplanes buzzing around. The organizers have not skimped on safety. There are published procedures, a published traffic pattern, different frequencies for arrivals from different directions, and a volunteer on the ground to assist pilots by radio. Arrive in the middle of the STOL Drag races, and you may have to fly around in the pattern a few times. No problem; watching the STOL Drag competition from pattern altitude allows for some cool photo ops. As with Sun ‘n’ Fun or Oshkosh, a second pilot looking for traffic is almost necessary these days. Getting to Dead Cow is perhaps even more challenging for those who don’t have an airplane to fly, but that doesn’t stop people from driving. Out of about 1,500 people and 450 airplanes in attendance this year, an estimated 500 or more probably traveled to Dead Cow by car, which requires a bit of tactical driving and pre-planning. Cell service is sporadic, and the deeply rutted, washboard-heavy roads are not on any map. To find Dead Cow, one must adhere to printed directions and mileage data with that prehistoric pencil and paper stuff. Even then, driving often proves to be a riskier affair than flying. While the High Sierra Fly-In is well known for its talented bush pilots and big-tire airplanes, no flying machine is discriminated against at Dead Cow. From Kitfoxes and Cubs to Mooneys and Mallards—if it flies, it’s welcome at the High Sierra Fly-In. The lake bed is large enough and hard enough for aircraft of almost any size and type, granted the pilot doesn’t mind having to wash it upon returning to pavement. Playa dust gets everywhere (everywhere), and it can corrode metals and wreak havoc on aircraft and fabrics if it’s not cleaned off quickly. 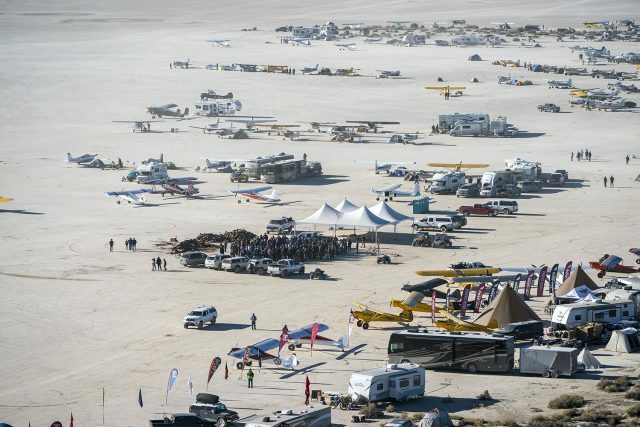 The airplane of interest this year was Mike Patey’s “Draco,” a turbine-powered Wilga that can cruise at 185 miles per hour at 28,000 feet yet still land on the playa in about 120 feet. But the other airplanes did not disappoint. A quick look around the playa, and it’s a pilot’s dream: Dozens of Cubs, Cessna 170s and 180s, Maules, Huskies and Cherokees. This year there was the Sherpa, Gary Ward’s green and purple MX2, a French Broussard (one of only 363 total built between 1954 and 1959), a Grumman Mallard and a Pilatus PC-12. Paramotors, drones and RC aircraft buzzed around the south end of the field. And a hot air balloon was fired up for good measure during the nightly bonfire, because…well, why not? Walking around the desert with a variety of aircraft to eyeball is entertaining enough for most, but the real highlight of the event is seeing these airplanes in action during the STOL Drag race. For someone who has never experienced one, the idea of an airplane drag race can be confusing. What does STOL have to do with it? Do they race on the ground? Is it dangerous? STOL stands for Short Takeoff and Landing, and it’s a characteristic of most bush planes. A STOL aircraft is designed or modified specifically for performance takeoffs and landings, often in and out of air strips where terrain and elevation make clearing obstacles difficult. Modifications like stall strips, larger ailerons or flaps, or modified suspension can make a stock aircraft into a bush plane. Many of the aircraft racing in the STOL Drag race are highly modified, but there is no requirement for an aircraft to be a designated STOL aircraft to participate. Past racers have included typical bush planes like Super Cubs, Kitfoxes, Wilgas, Cessna 180s and Huskies, but it’s not uncommon to see a J-3 Cub, a Cessna 172, a Cirrus or a Mooney have a go at it. It’s all in good fun, and the High Sierra racers keep it lighthearted. The rules are simple: From the starting line, two pilots fly their aircraft side by side down a ¾-mile long straightaway, come to a complete stop on heading, turn around and fly back. The first pilot to bring their airplane to a stop wins. Certain penalties are imposed for safety reasons and to keep the race standardized. Racers are disqualified for turning in the wrong direction, and there are time penalties for not completing the stop at the halfway point or for touching down before the line, for example. This year, Draco was the aircraft to beat, and Trent Palmer came close in his Kitfox that he was working on right up until his late arrival. In the end, Mark Patey’s Draco outraced Palmer for the Gold. Crowd favorite Steve Henry, winner of the STOL competition at Oshkosh this year, also gave Draco some competition in his Highlander. And longtime participant Toby Ashley placed third with his Carbon Cub. On an individual basis, pilots attending the High Sierra Fly-In take personal responsibility for safety to a professional level. 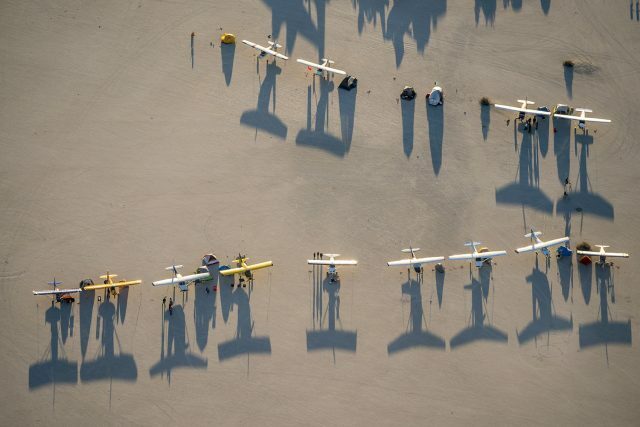 A lot of formation flying occurs, and it requires a high level of awareness and skill. Thorough briefings between formation pilots are always done beforehand. And as for the STOL Drag racing, once you see these pilots fly, you quickly realize that while the aircraft are flown on the edge of their performance envelopes more often than not, they are flown by some very skilled and experienced pilots. Some of these aircraft are highly modified by the pilots themselves, but don’t let that fool you into thinking this is amateur hour. These pilots are not just pilots—they are often experienced aeronautical engineers, machinists or A&P mechanics in addition to having logged many, many hours in the back country. Inexperience is checked at the door, and safety just becomes the expectation. Above all else, pilots are encouraged to fly at their own pace and skill level. Beyond the airplanes and STOL Drag racing, those who attend appreciate the fly-in for its laid-back, friendly people and the camaraderie. Quinn, along with a few of his buddies from early on who have formed a group called the Flying Cowboys, have an enthusiasm for aviation that you don’t find everywhere. 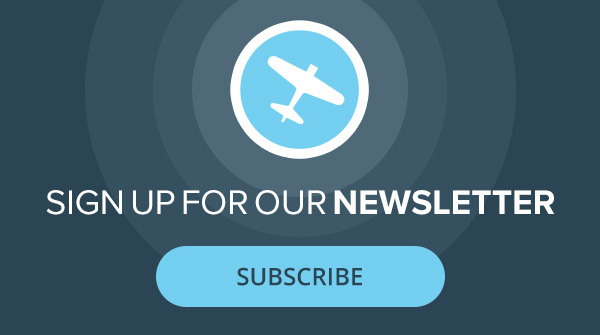 By sharing their enthusiasm each year at the fly-in, via YouTube channels and through social media campaigns like #HeavierOut (a call to clean up the backcountry), they’re definitely doing their part to promote aviation and responsible flying. As a result, the aviation “bug” is spreading like wildfire among fans. The organizers and volunteers have created a place where everyone is truly welcome, where kids and families and dogs roam and airplanes constantly buzz overhead. It’s a place where mechanics bring tools to help pilots when something breaks. A place where aviation gets back to its barnstorming roots, where pilots offer rides to other aspiring pilots just to see them smile. It’s a place where, after joining up in formation over the desert, people exchange phone numbers and take photos of new friends in front of airplanes. It’s a place where pilots can listen and get advice from other pilots, where they can talk about how they build their airplanes, which modifications work, what mistakes they made. It’s a place where if you don’t have a warm jacket, a thousand of your new friends will offer you theirs—and they’ll tell you to keep it. Quinn says they’re brainstorming ways to make the STOL competition better, and they’re always looking for ways to improve the fly-in itself. Lastly, watch for an upcoming Flying Cowboys Scholarship funded by Quinn. The people are what make the High Sierra Fly-In great, and for an aviation industry that struggles to recruit pilots, mechanics, technicians and aviation entrepreneurs, it’s an enormous breath of fresh air. It might seem ironic that a place called “Dead Cow” is home to that fresh take on aviation’s future, but once you’ve been, it makes perfect sense.